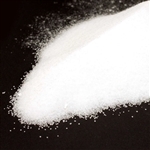 When you want to buy granulated sugar wholesale, count on us here at Round Eye Supply to have just the right type and size white sugar you need. Choose from 2-pound, 4-pound and 10-pound Domino granulated sugar , Dixie Crystals Extra Fine granulated white sugar and C&H white granulated sugar , respectively. You'll also find bulk sugar from Domino in both 25- and 50- pound bags. This includes bags of both granulated beet sugar as well as bags of granulated cane sugar. Sugar and Sugar Domino Granulated Retail Sugar - 1 Lb. 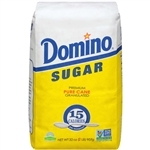 Sugar and Sugar Domino Granulated Sugar - 25 Lb. Sugar and Sugar Domino Extra Fine Granules Granulated Sugar 50 Lb. 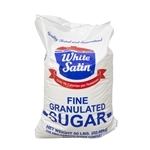 Sugar and Sugar Granulated Beet Sugar - 50 Lb. Sugar and Sugar Packets Granules Beet Sugar - 25 Lb. Sugar and Sugar Packets Domino Bale Extra Fine Granules Sugar 2 Lb. 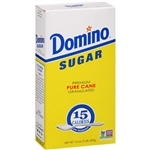 Domino Granulated Sugar Carton Retail - 2 Lb. Buy Granulated White Sugar by the Case for your restaurant today. Specialty sugars featured in this category include 2-pound bags of Florida Crystals, made by the manufacturers of Domino, consisting of extra-fine granulated sugar made from 100% Florida cane sugar. These 2-pound bags come 20 bags per case. Dixie Crystals, from the same manufacturer, also offers an extra-fine granulated product in 4-pound bags, 10 per case. Shelf life on this item is two years!